Often in life we are tasked with making decisions that mean that we have to choose one option at the exclusion of competing options. In this thought experiment we are going to consider if you were taking fairly esoteric holiday to Europe and you have to make a choice between the two lovely, but fairly small cities of Ljubljana, Slovenia and Riga, Latvia. The criteria will use to make a decision between these two worthy places is the aesthetic beauty of each city, the number of cultural and natural activities each city has to do, and the amount of fun each city is. This is actually a close one as both cities emit a fantastic, small city charm that is complete with rivers running through each and many wonderful squares in their old towns. Though Riga stands tall is this front, in the end Ljubljana truly a city that is beginning to get resources that could soon see it as a member of the European Union is delightful and a city that should be visited. 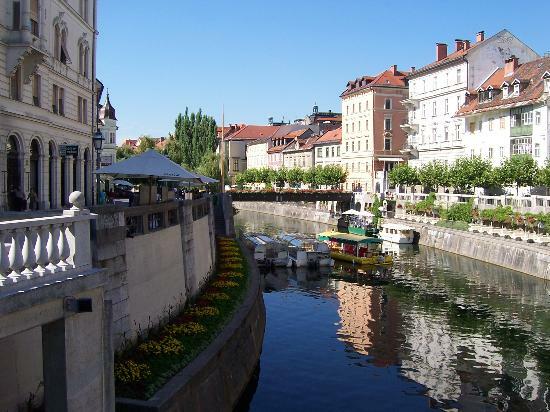 With a castle in it, that I saw once hosting by chance a one on one basketball championship for the country, wonderful squares that have symphony performances for its citizens, and elaborate dance performances again Ljubljana is a bit of a hidden gem in Europe. Though the Riga old town is a wonderful walk around and underrated in Europe still the number of things to do in Ljubljana easily eclipses that of Riga. Perhaps it is the more cultures ere in Ljubljana that holds it back in this regard. Or perhaps, more accurately it is the Latvians love of vodka that makes them a more wild and unencumbered lot that are out at night having a wilder more uproarious time. In the parks, restaurants, and of course bars and clubs the Latvians are having a great time. For that reason they take this category of which city is more fun. The closing the gap with their undeniable fun streak still Riga in terms of the beauty of each city and the sheer number of cultural things to do is not where Ljubljana is. Ljubljana is truly a secret gem in Europe and should be getting a lot more attention by European travelers than it does.